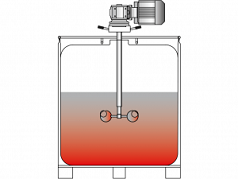 The VISCOJET® laboratory stirrer has a high-torque drive with stepless speed regulation. The speed currently set is shown on the clear, user friendly display. 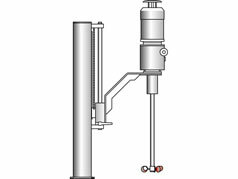 With its soft start, this stirrer can also be used in liquids with very high viscosities.It can be mounted on a number of different stands. 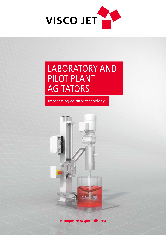 With its light and easy-to use height adjustment, the simplicity and convenience of VISCO JET® mixing technology are now available for pilot plant applications. 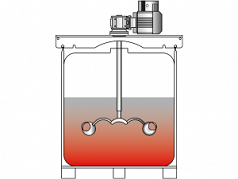 Whether for high or low viscosity media, the VISCOJET® system provides efficient stirring. 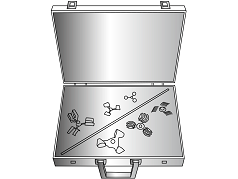 The VISCOJET® “Expander” is a foldable stirrer head designed specially for use in transport containers. 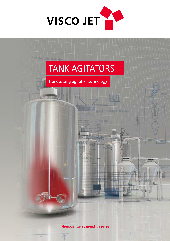 It enables the efficient stirring of watery media in transport containers and small containers. The stirrer unit is introduced through the upper DN 150 opening and secured to the neck. The new ViscoJet “Tornado” stirrer head can be folded to a diameter of 144mm. 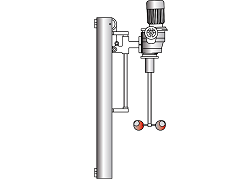 The conical stirrer unfold to their full working diameter at a very low speed of rotation and ensure persistent flow and turbulence. 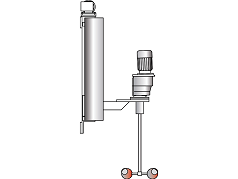 The VISCOJET ® system is the original one by VISCOJET®, a conical, slow-running, momentum-based range of stirrers. 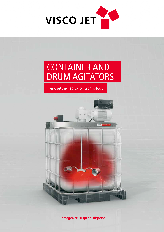 With the VISCOJET VJ370 and VJ380 models, VISCOJET mixing technology can, for the first time, be used in all standard 200 litre drums and for almost all media from watery to medium viscosity (in a drum, up to 5,000 mPas). Just hang the outstanding advantages of the VISCOJET® mixing system on the wall? No! The column version with linear guiding by ball-bushing set running on ground, hard-chrome-plated shafts demonstrates our quality-in-all-details approach. 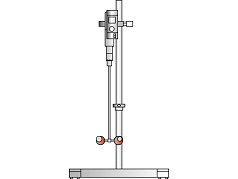 The manual height adjustment – the stirrer is counterbalanced by a weight in the column and connected to it by a cable which passes over a pulley – is light to use, stepless, and easily clamped in any position. 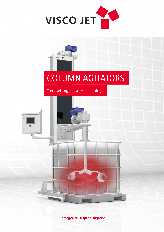 A safety switch ensures that the stirrer can only be switched on when it is in its correct operating position. 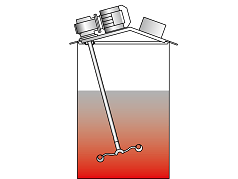 With its electric height adjustment, the simplicity and convenience of VISCOJET® mixing technology are available for any application. In addition, these stirrers can be individually equipped so that they have the flexibility to fit perfectly into your production processes. A stirrer for many applications! VJ520: Just install and mix! The VISCOJET ® VJ520 is specially designed for mounting in place of standard Ø 400 mm covers on stainless steel containers. With the appropriate transport attachment, the stirrer can be readily moved from container to container using an overhead crane. The VJ900 Laboratory Stirrer Set contains VISCOJET stirrer heads in sizes form d2=60 mm to d2=150 mm neatly arranged and immediately to hand for stirring trials in your laboratory. These stirrer heads can be used in all common sizes of vessels form 80mm to 250mm in diameter. 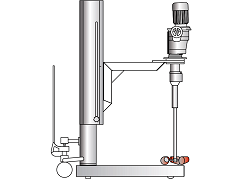 The shaft contained in the set can be mounted on any laboratory stirrer with a 10 mm chuck. The spiral version is especially suitable for highly viscous liquids. 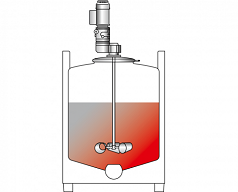 The VISCOJET Crack will be used for dispersing of low- and high viscosities and for stirring in powder materials.